Jaime Mirtenbaum Zenamon is a classical guitarist and composer. 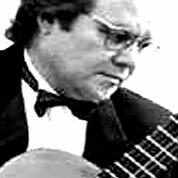 He was born in La Paz, Bolivia of European parents and studied guitar and composition in Israel, Spain and Portugal as well as in South America. He taught at the Berlin Academy of Music from 1980 to 1992. He now lives in Curitiba, Brazil.